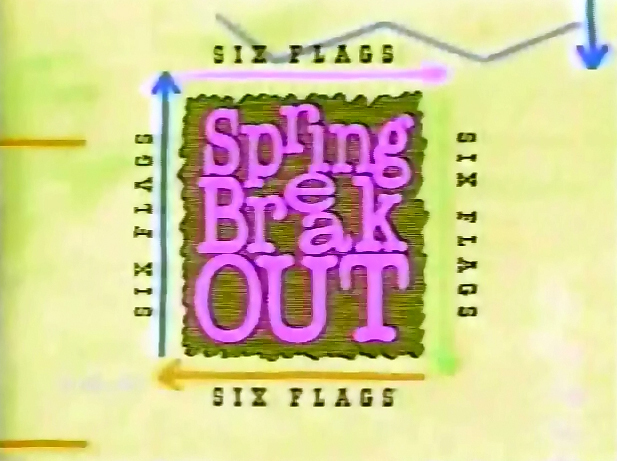 Theme parks are always looking for ways to increase attendance and expand their seasons into the spring and fall shoulder seasons. 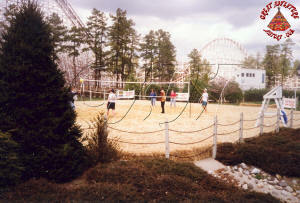 Creating special spring and fall events at the parks has been one of the ways parks try to achieve this goal. 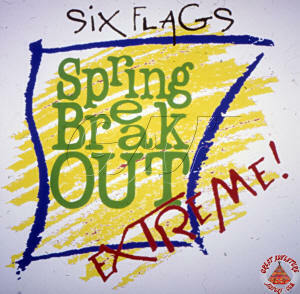 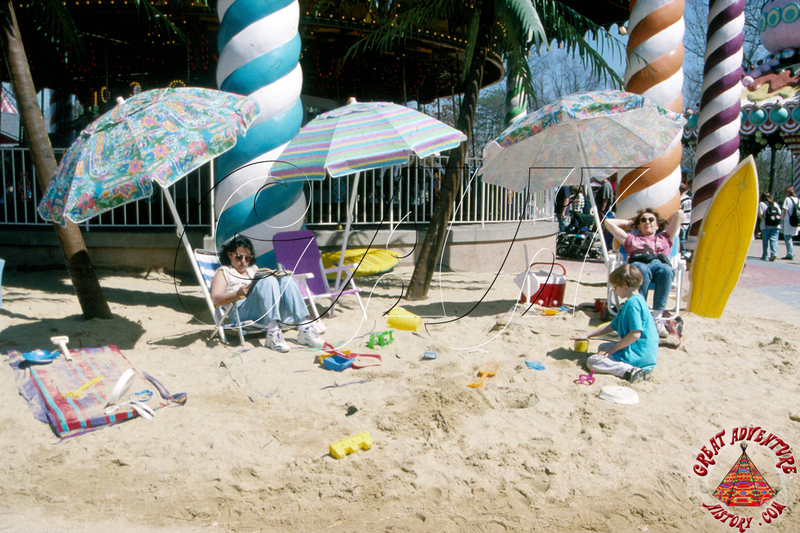 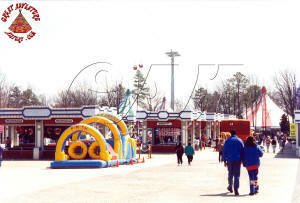 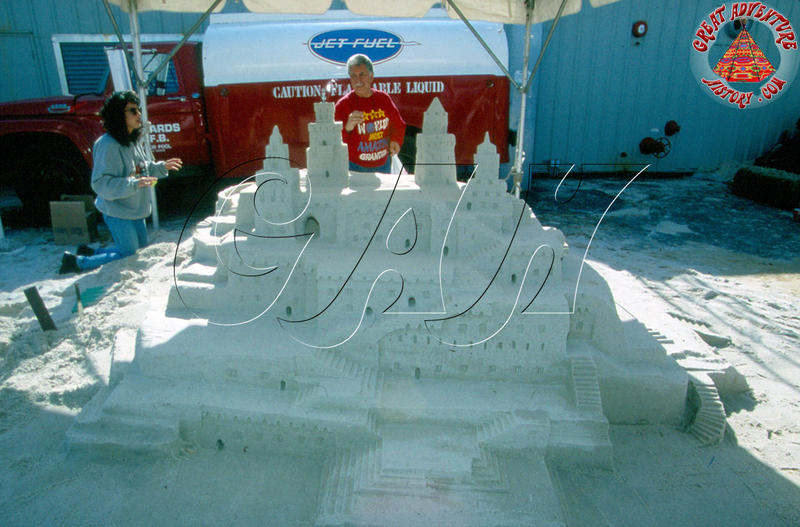 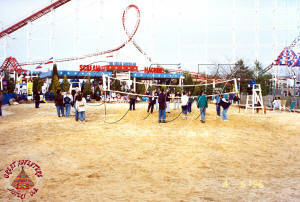 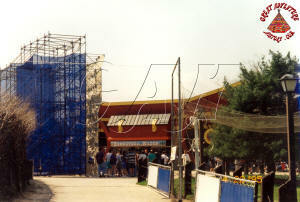 During the 1990's while Six Flags was owned by Time Warner, the company looked to expand the presence of the parks as well as expand their corporate synergy. 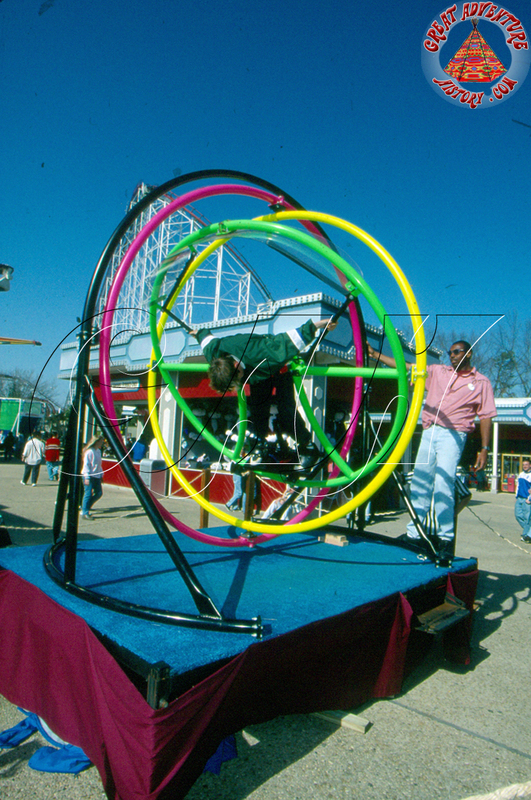 As part of this new investment in the Six Flags parks they rolled out the concept of the Spring Break Out, a festival celebrating the reopening of the parks for the new season with a series of special events and attractions offered to help create interest in the parks as well as giving guests a reason to visit before the peak of summer. 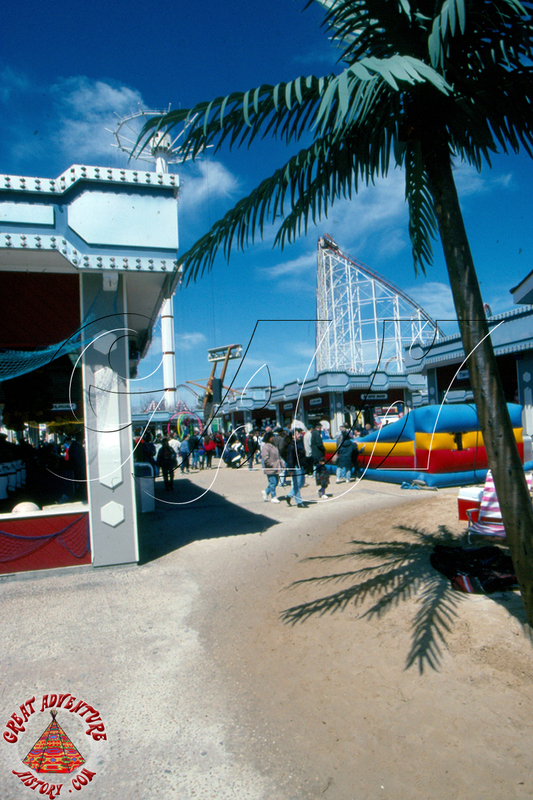 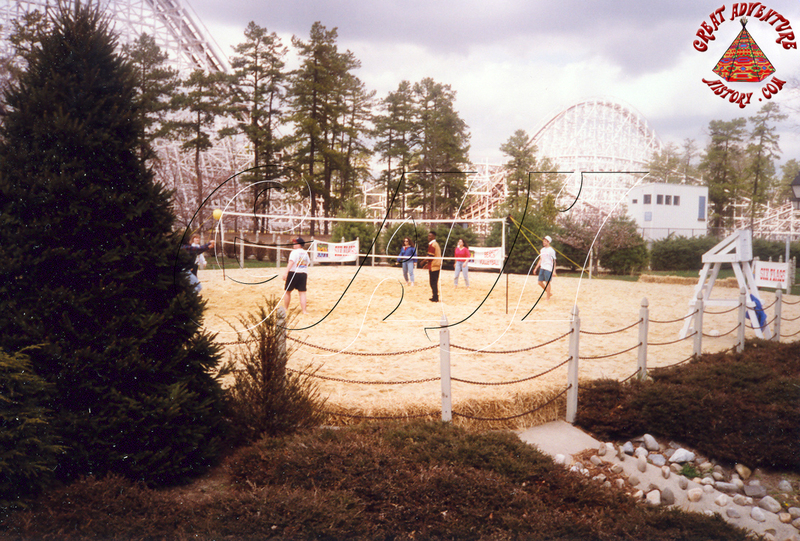 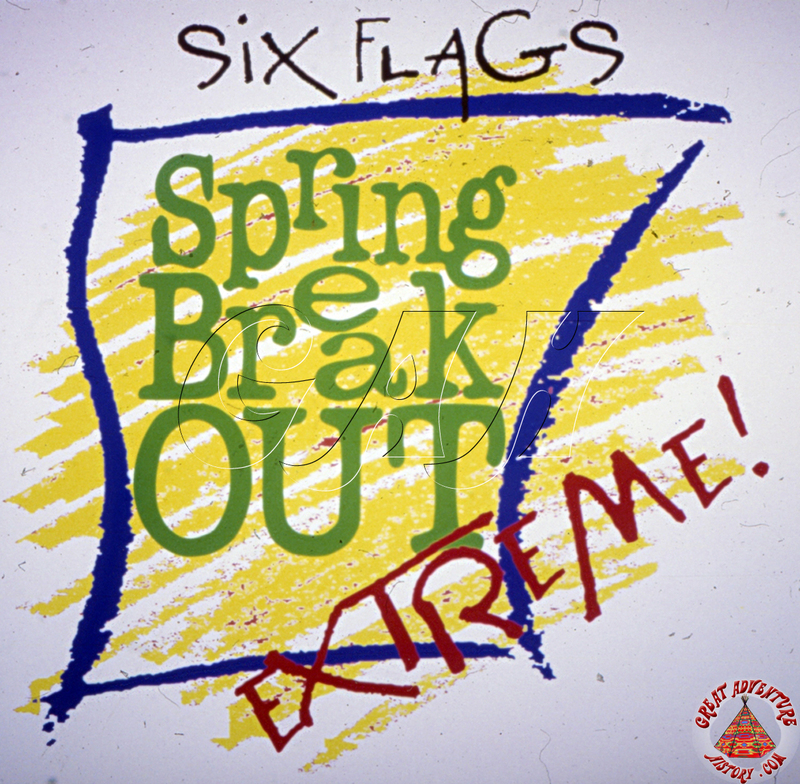 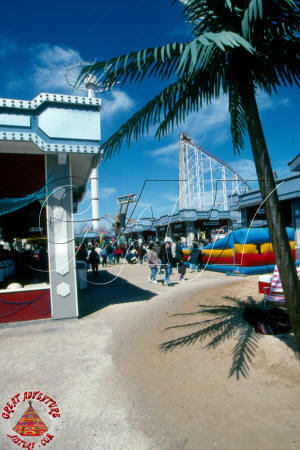 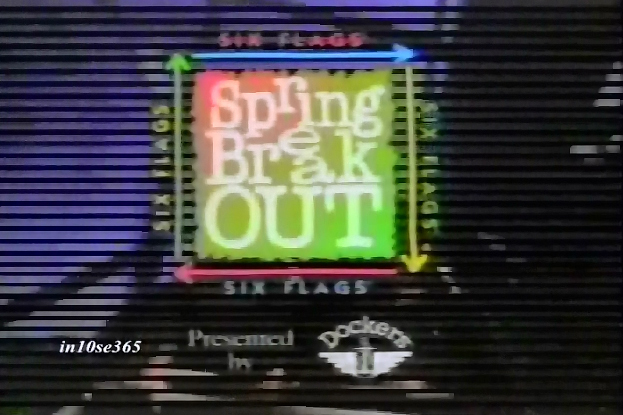 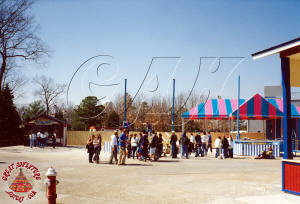 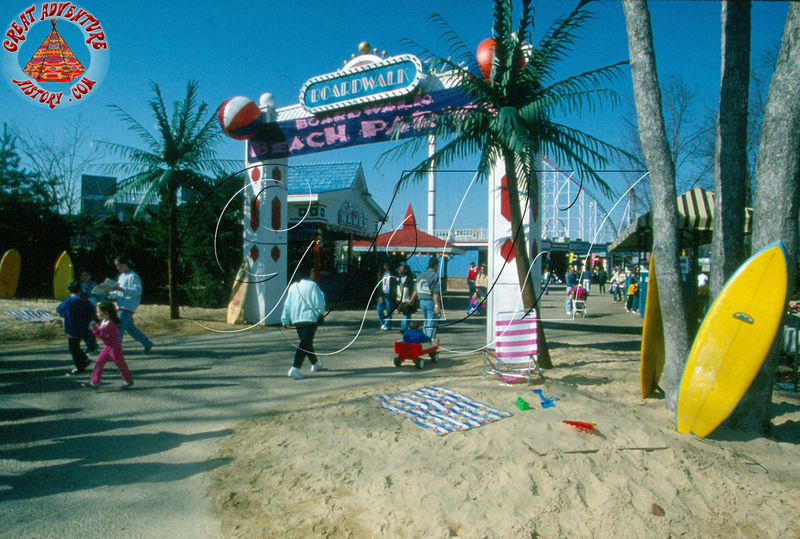 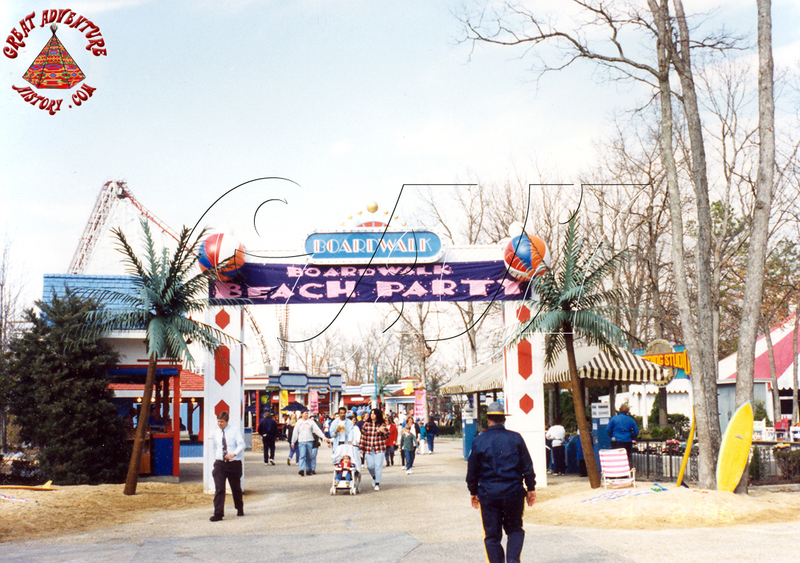 The exact location of the Spring Break Out festivals varied from year to year within the park, taking up residence in the old Ultra Twister site, Frontier Adventures, or the Boardwalk area to name a few. 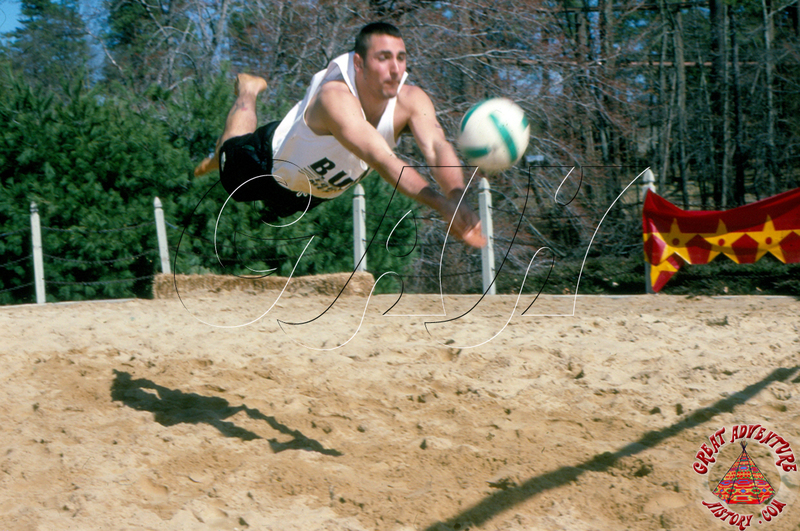 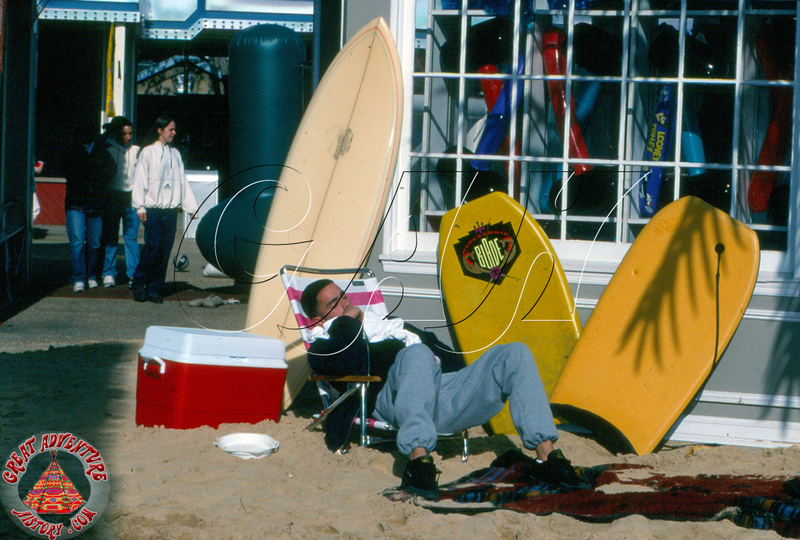 Much of the Spring Break Out was focused on outdoor sports and other activities which after a long cold winter guests were often eager to try out. 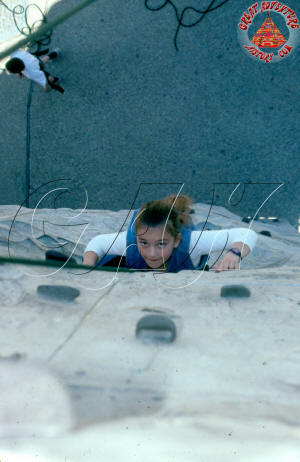 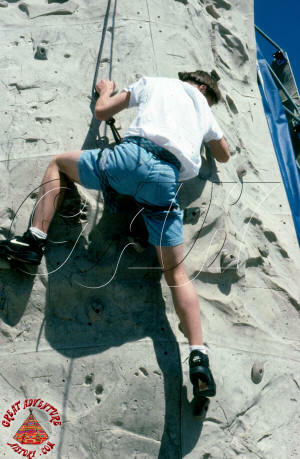 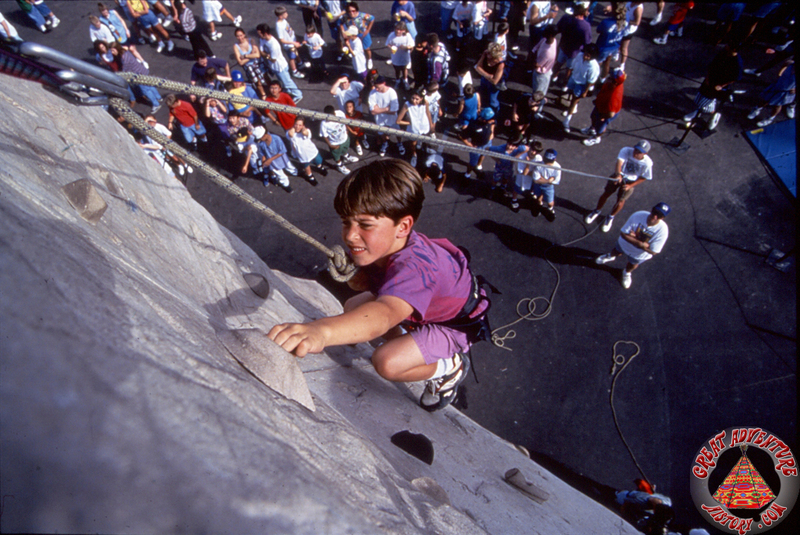 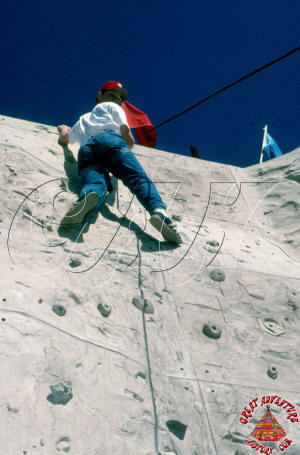 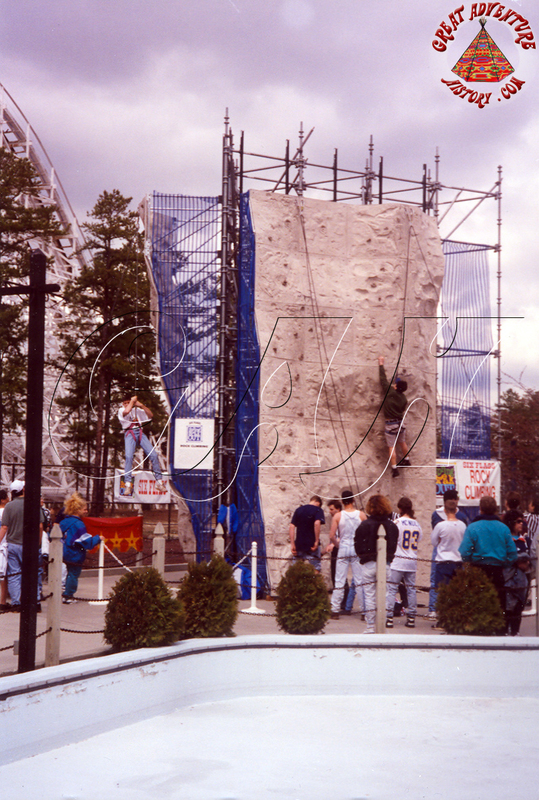 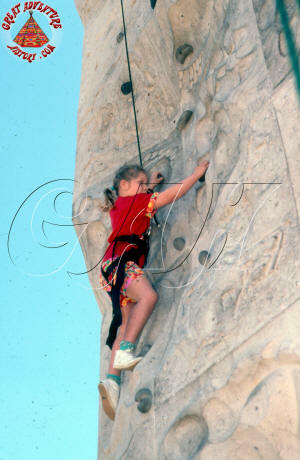 One of the most popular attractions featured at Spring Break Out was a rock climbing wall which at the time was relatively uncommon. 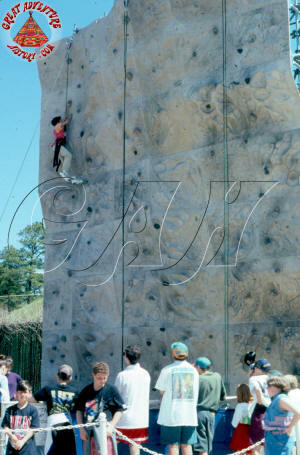 Today rock walls are found as upcharge attractions in many parks. 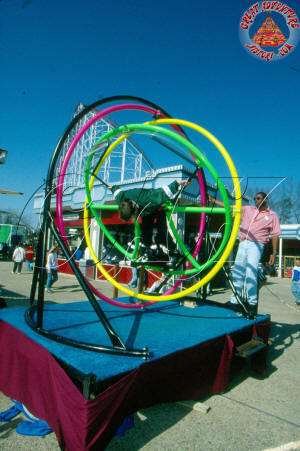 Each year brought new things to try as new trends came along. 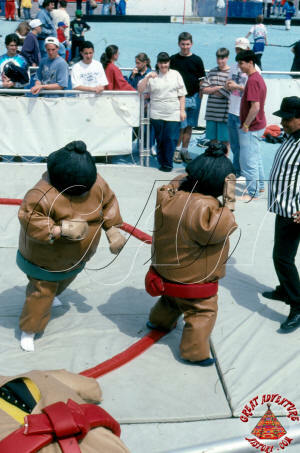 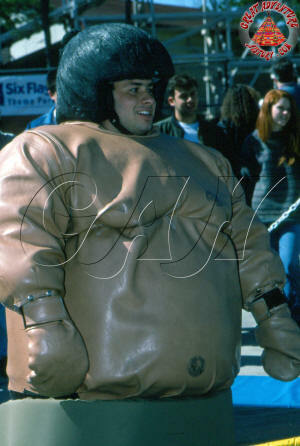 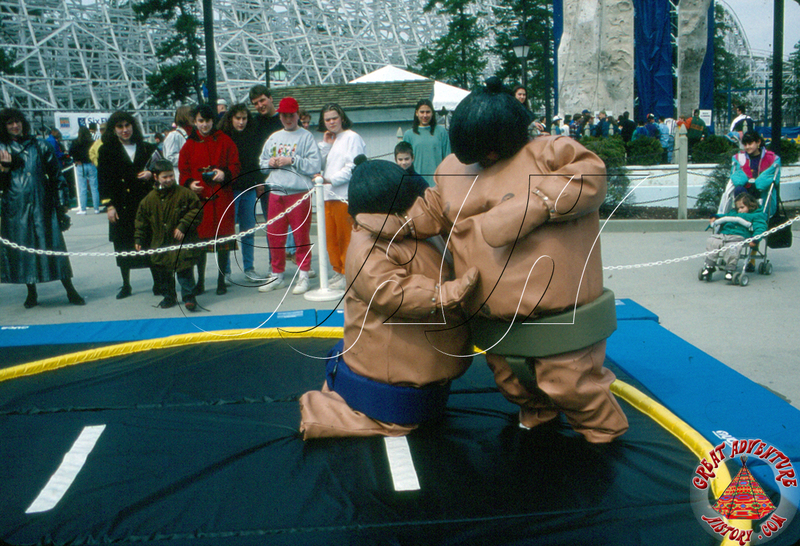 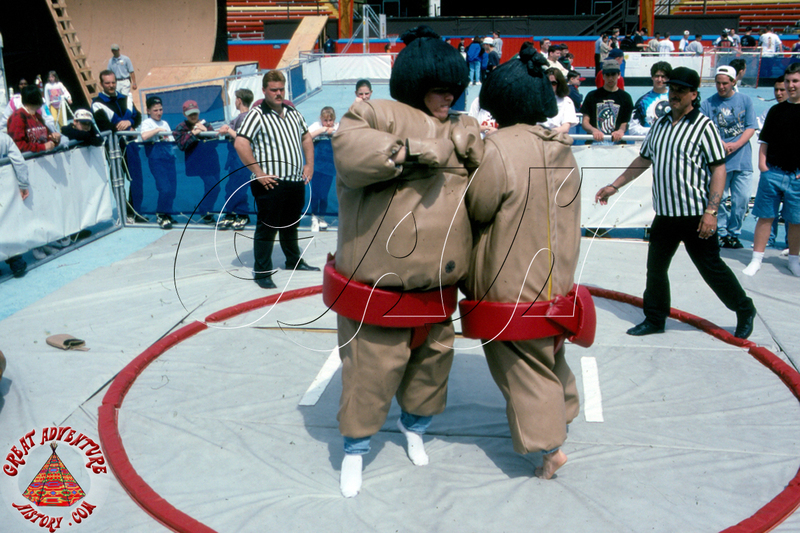 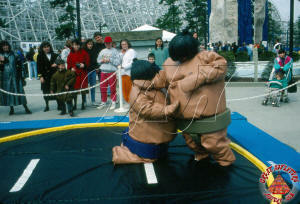 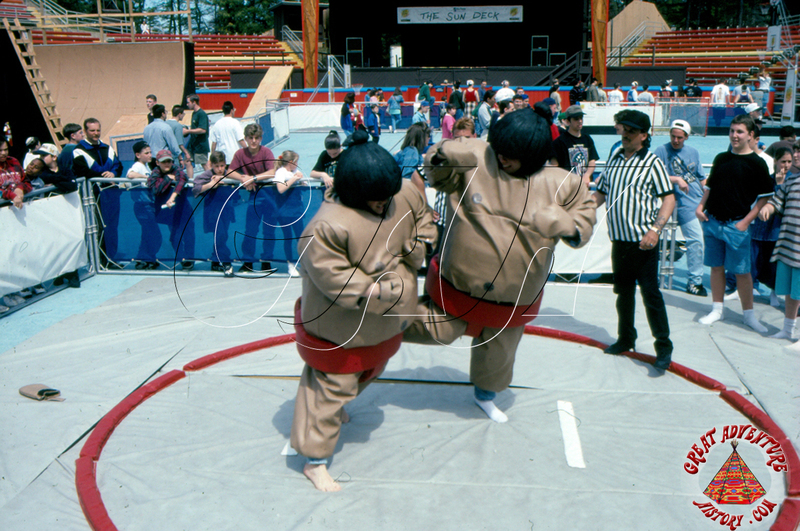 One of the most memorable events was sumo wrestling which allowed participants to don Sumo Suits and get in the ring to face off. 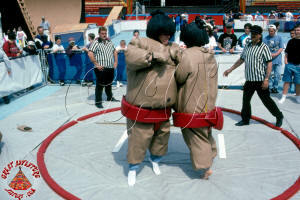 The padded suits and helmets offered a safe way for opponents to bump bellies and knock each other over, and the crowds loved the spectacle. 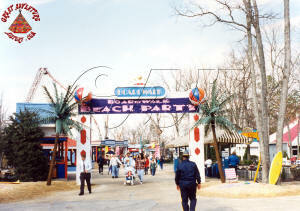 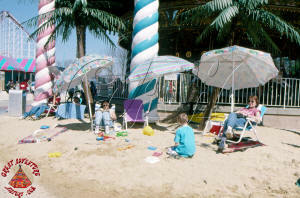 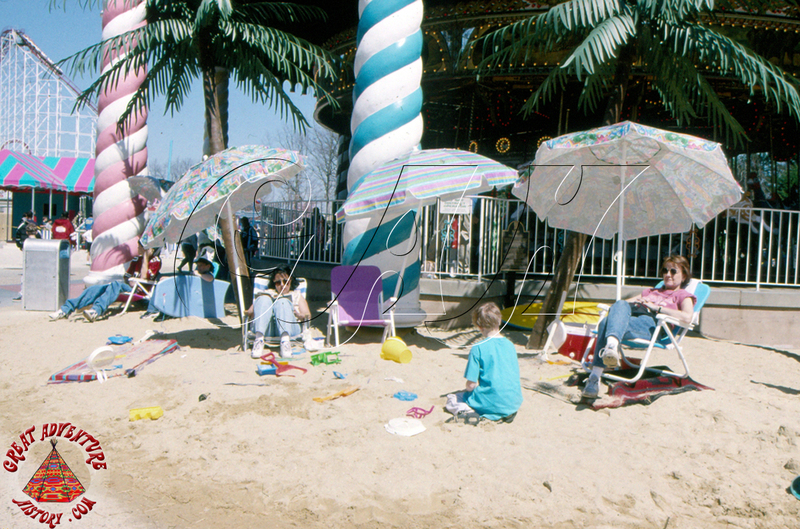 The Spring Break Out kick-off of the warm weather season was an occasion for the park to have beach parties. 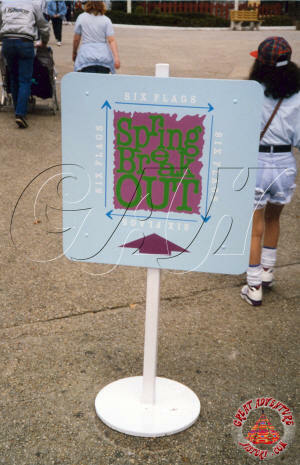 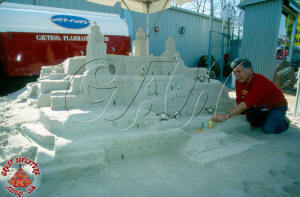 Truck loads of sand were dumped at the entrance to the Boardwalk and fake palm trees and surf boards flanked the entrance to the Spring Break Out activities. 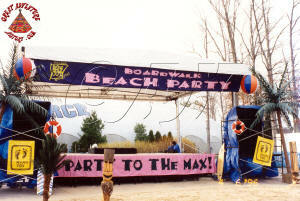 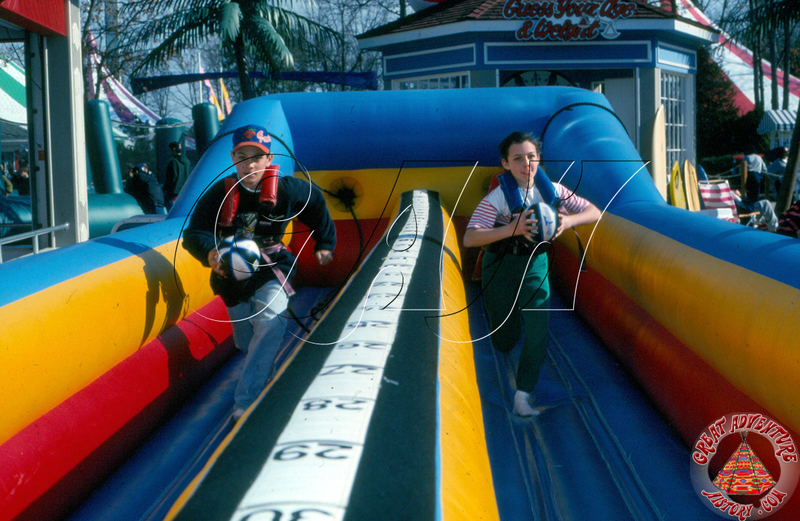 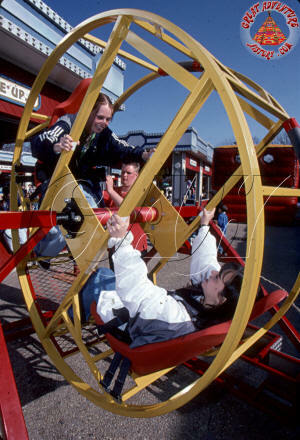 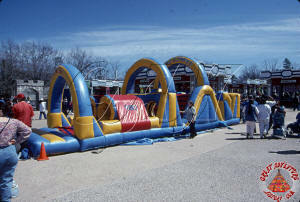 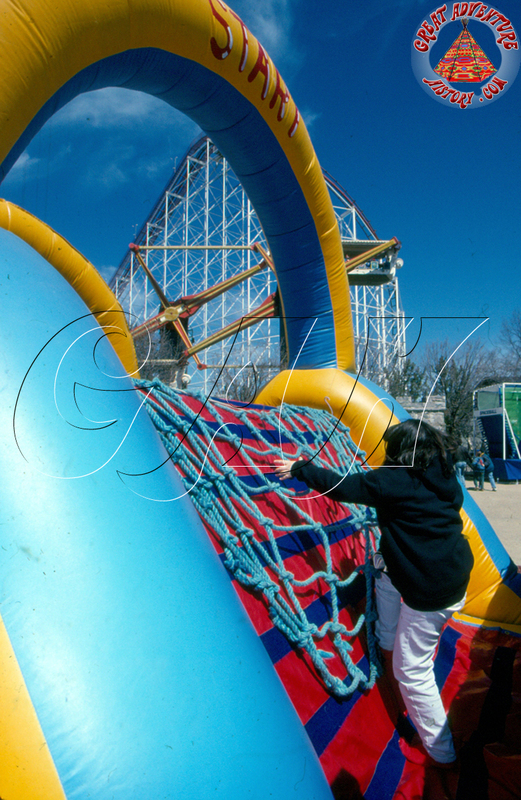 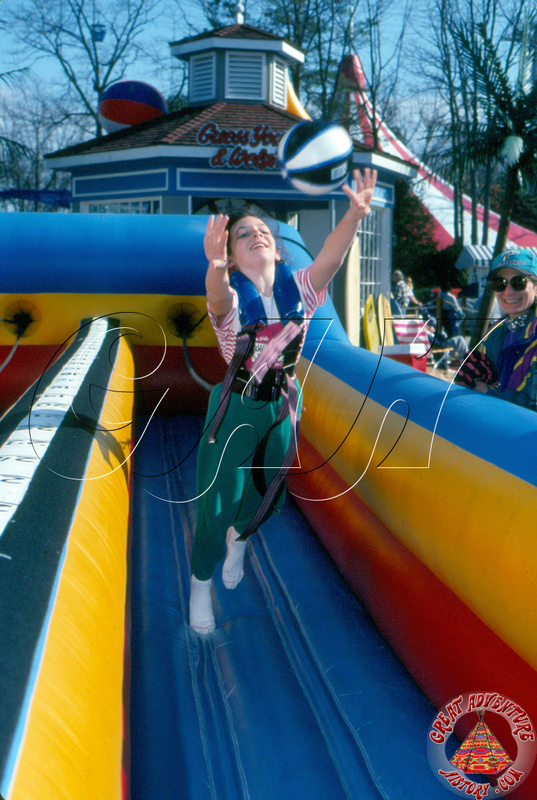 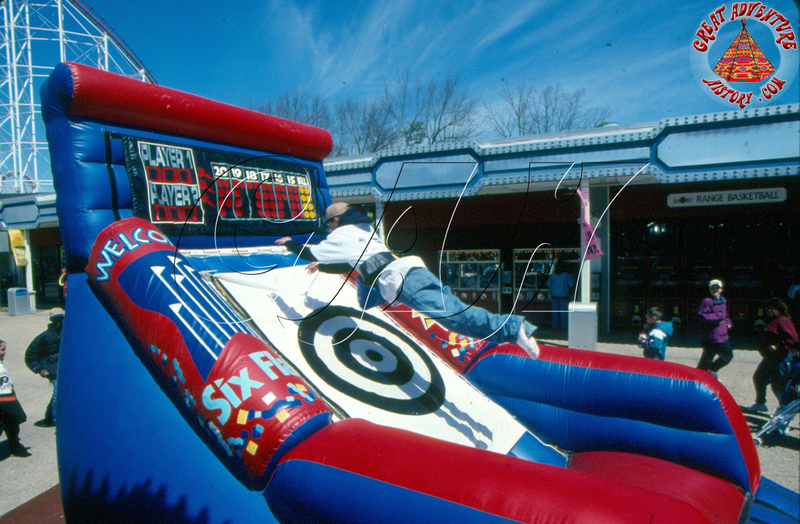 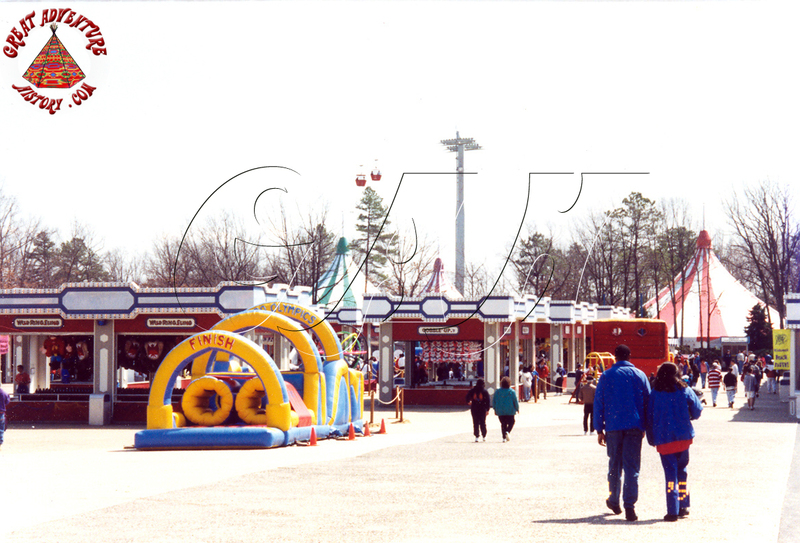 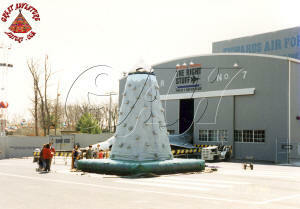 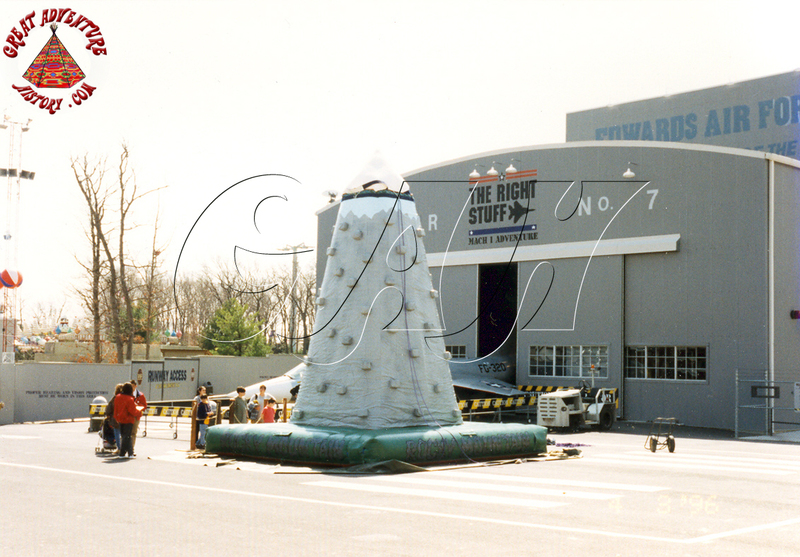 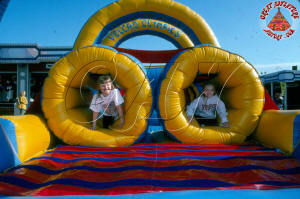 In the Boardwalk giant inflatable attractions gave guests a place to test their skills in a safe oversized obstacle course. 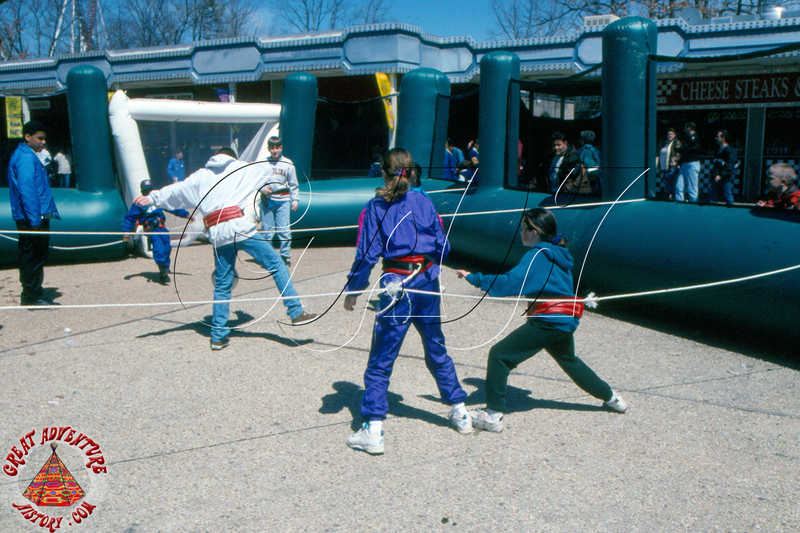 Many of the challenges were American Gladiators style tasks where guests could compete against each other. 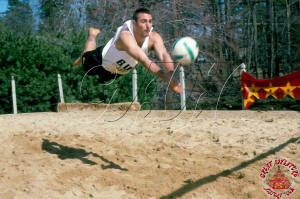 Physical challenges were a big part of the Spring Break Out, often relying on people power. 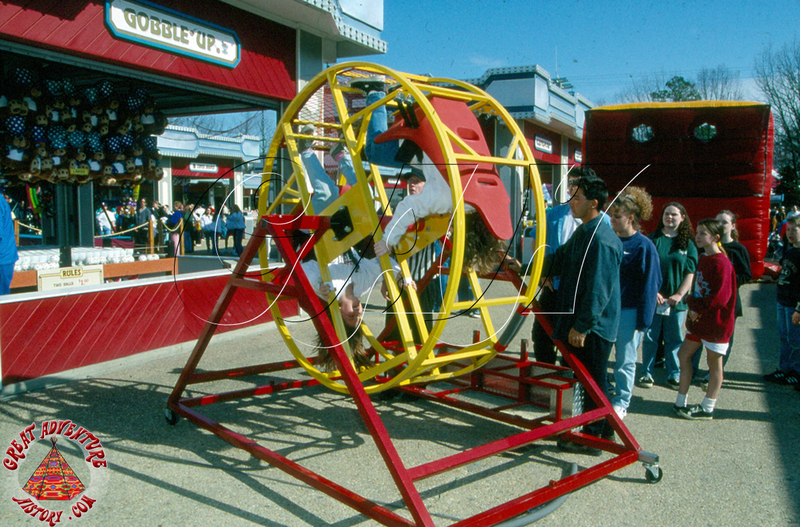 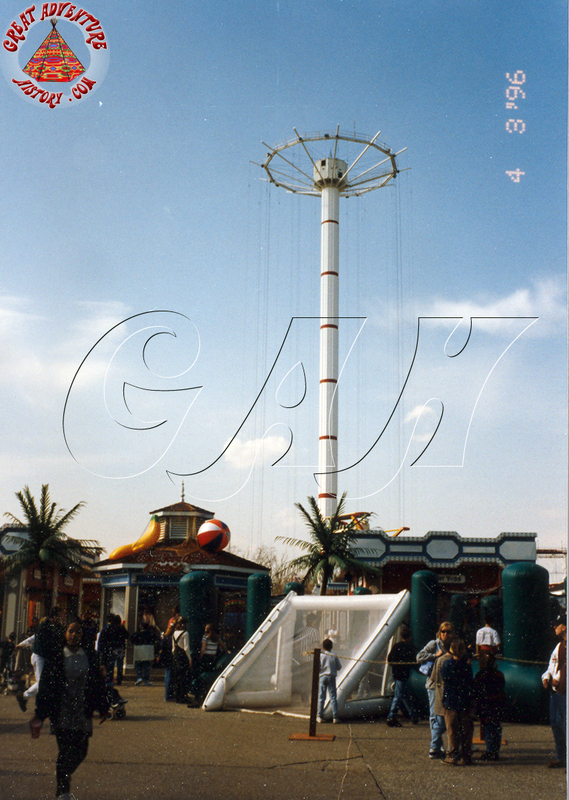 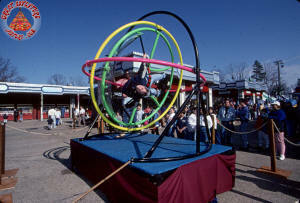 The first bungee trampolines were introduced as part of Spring Break Out, and several one or two person spinning contraptions that were guaranteed to get the riders dizzy were also available. 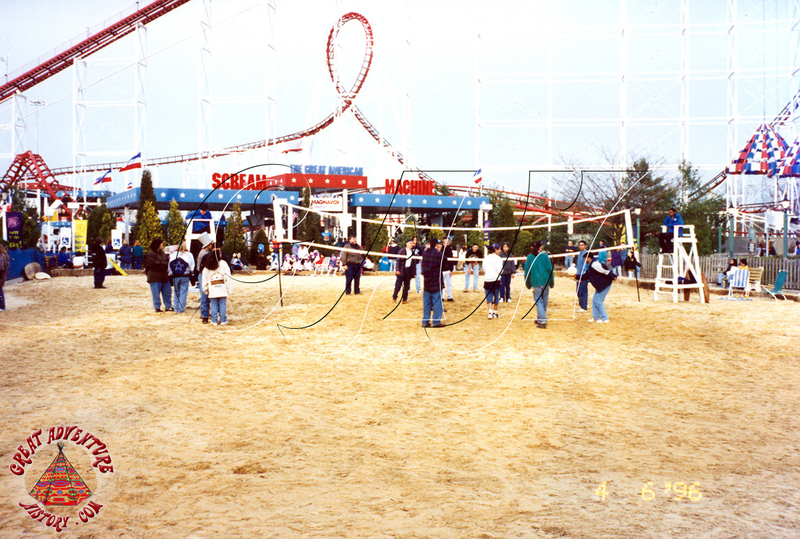 Because of the low capacity of these attractions as well as the spectacle of them, there were more guests watching the action than participating most of the time. 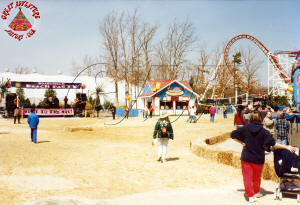 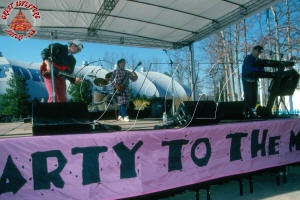 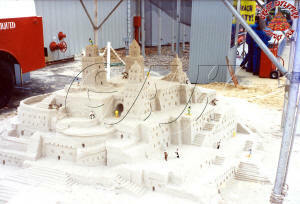 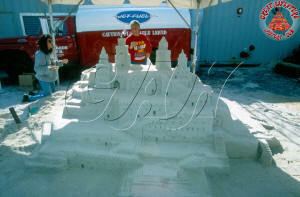 Each year had different events and attractions, but music and other festivities helped round out the events. With the sand and the beach theme came volleyball and sandcastles which even on chilly spring days were a nice reminder that winter was finally over and summer was just around the corner.